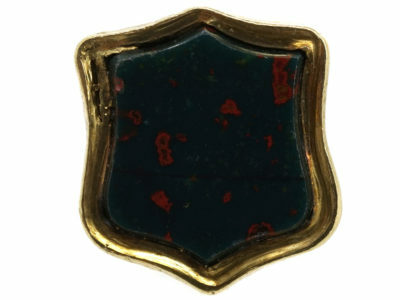 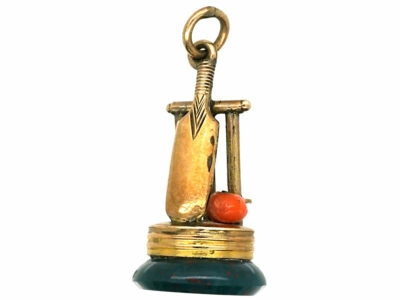 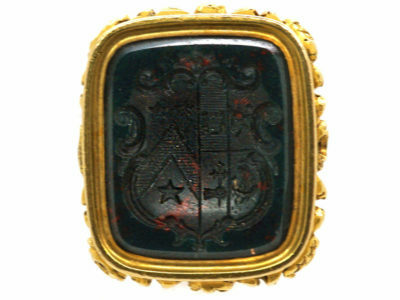 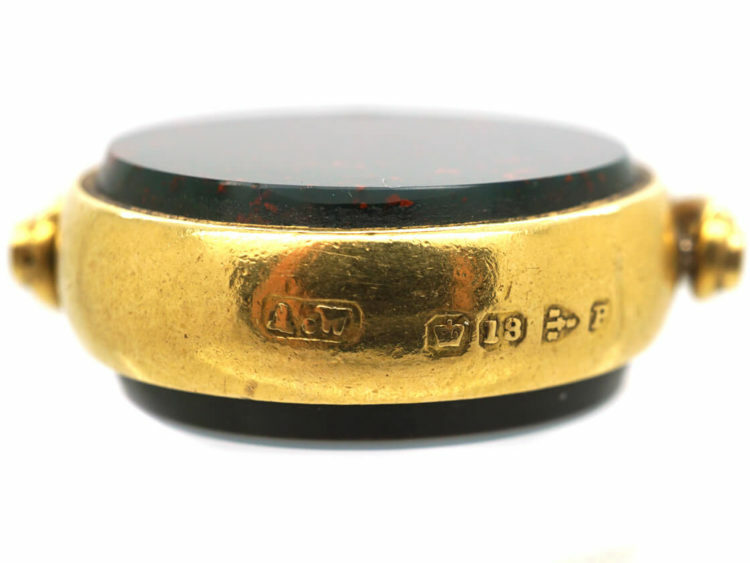 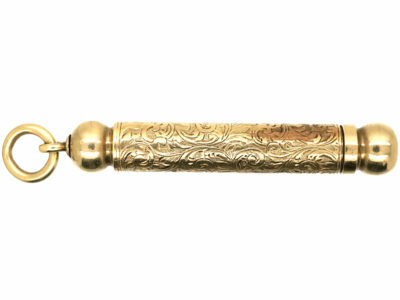 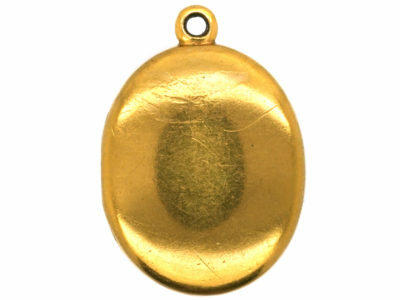 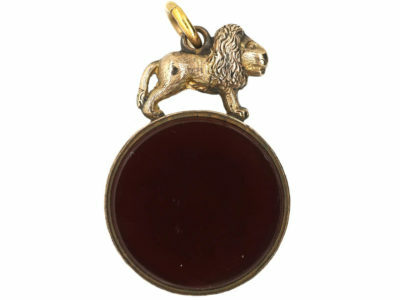 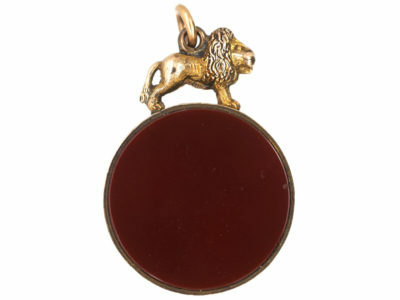 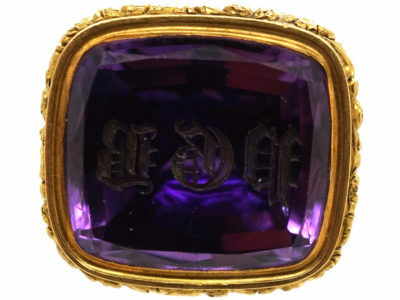 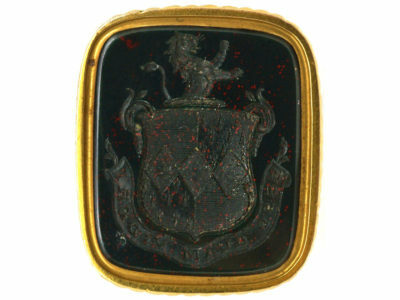 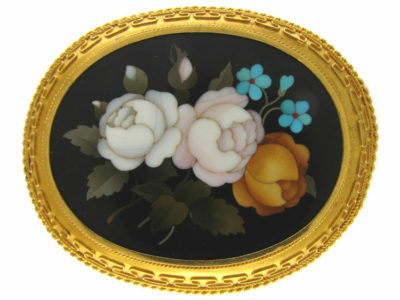 A striking 18ct gold seal that was made in Chester in 1898. 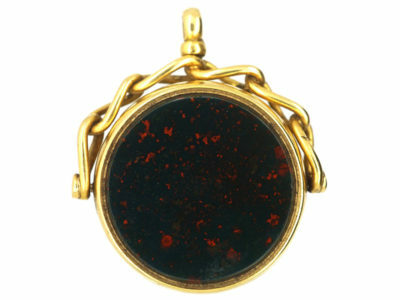 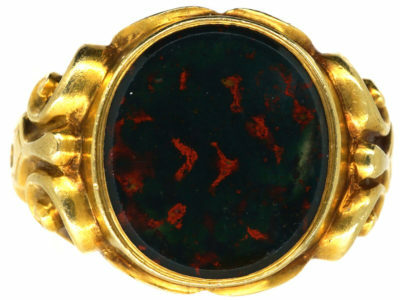 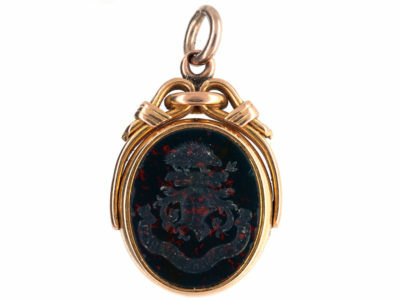 It has a plain bloodstone on one side and a banded sardonyx on the other. 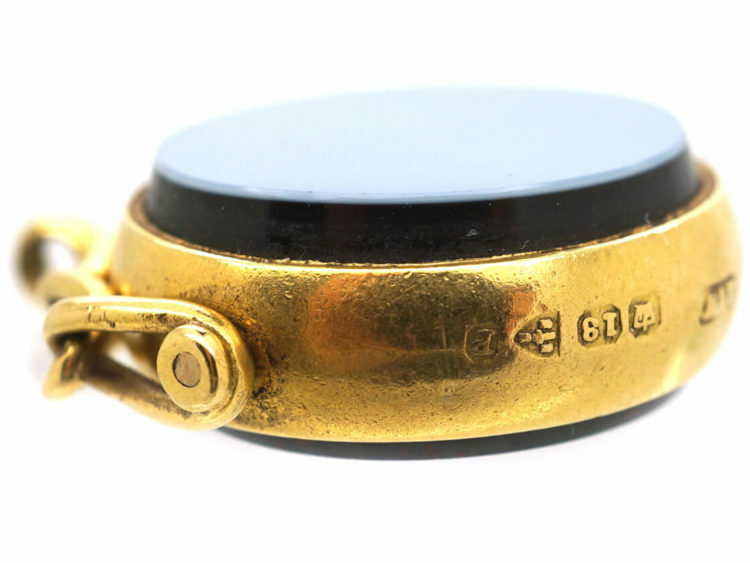 The mount is an interlinked design. 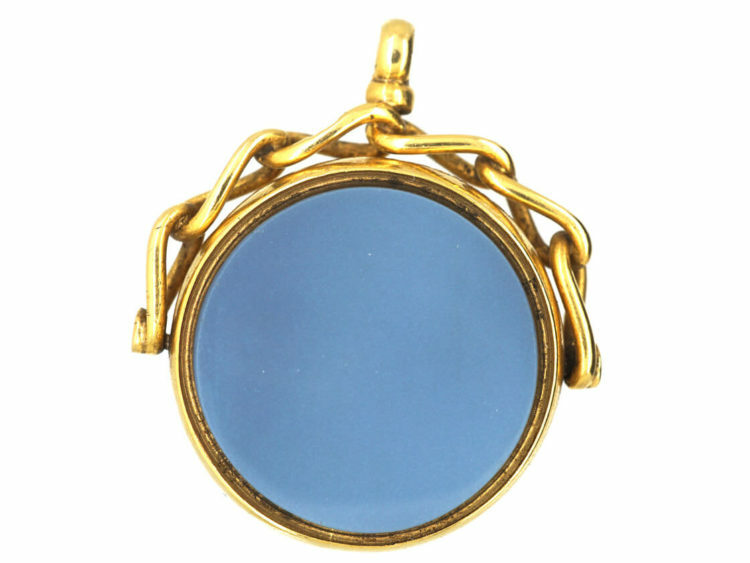 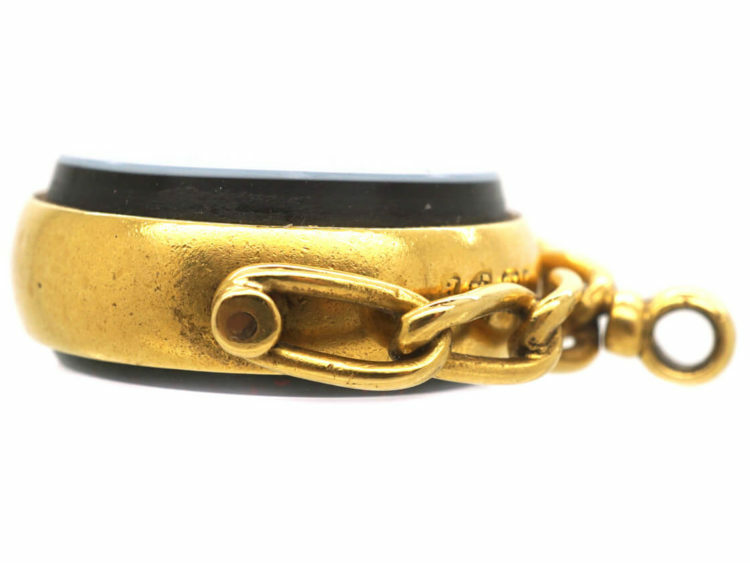 These seals look great worn on a chain on their own and there is always the option to have either or both of the stones engraved.